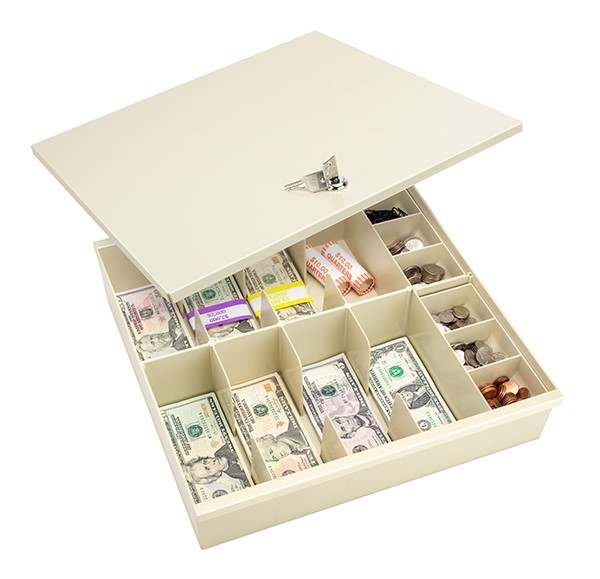 Budco’s CT Series currency trays are constructed of styrene plastic for durability and flexibility giving you years of use. The CT-211 lid is bank grade metal. All trays fit most major manufacturers transport and storage units such as Hamilton, Fenco and Korden. Our In-Stock color, putty, ships in 24 hours. Black available by special order.